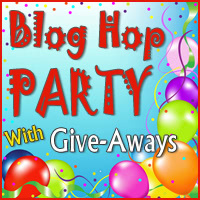 I’m sew excited to participate in Quilting Gallery’s Blog Hop Party! Thank you Michele for hosting this wonderful blogging get together! If you have never been to my blog before, welcome! If you are regular here, then welcome back! I love to share about my quilting and sewing adventures and I also blog about my family and our lives in the army. I have a tutorials page filled with fun sewing and quilting tutorials. I am also co-hosting A Lovely Year of Finishes with Shanna from Fiber of All Sorts, we would love it if you joined the fun with us! Below are some of my favorite projects from this year. My giveaway for you today is sponsored by my incredibly talented friend Vicki from Quilting Lodge. (And she’s hosting a giveaway too!) Not only is she a talented quilt pattern designer, she is also a fabulous long arm quilter. In fact sometime today the UPS man should be knocking on my door with one of my quilts that Vicki quilted. Can’t WAIT! A new quilting magazine by Fons & Porter and a Barcelona Charm pack (my quilt that I’m getting back from Vicki is made with Barcelona!!!). Entering the giveaway is simple! Just follow the directions on the rafflecopter below! Don’t forget to hop over the Quilting Gallery and enter all of the other fun giveaways. Please know that during big parties like this I do read every single comment, though I might not be able to respond to each one. I am always incredibly grateful for my lovely family but this year I am particularly grateful that my Mother is responding really well to her treatments for Ovarian cancer. Thanks so much for the great giveaway. I always Grateful, but especially this year that my Anniversary is NOT on Thanksgiving. I got married on Thanksgiving Day in Canada, so every 7 years it is and I DON’T COOK! Thanks for the Giveaway! I enjoy reading about your adventures in Quilting. Wish I had a LongARM! I’m grateful for the life I live. What a nice giveaway. Thx. Hello Melissa! Ive been a folower for some time now and I really enjoy your posts. I am grateful for my parents. I live in another continent and miss them terribly. But I am thankful I can see them once a year. Thank you for this giveaway! I’m grateful for my 3 sisters. We lost our 92 year old father this year (WWII & Korean War vet), but there’s still the 4 of us and our husbands & kids & grandkids & soon to be great grandkids. Thanks for the chance to win. Oh my! I am grateful for so much this year! Primarily I am grateful for my family, and for the love and support they offer me. I’m grateful for so many things every day, especially for my husband and our families. We recently moved back to our home state, so I’m thankful to be closer to family and friends! I’m thankful for continuing good health and my loving family. I am grateful for my family. Extended and local. 🙂 Can’t wait to see them all next week. I am thankful for family that loves Jesus. At the end of the day, that is all there is for me. This year I am so grateful for our new puppy Duncan. He is a rescue and came to us in July. He is so sweet and loving and makes us laugh. He completes our family- grateful that we found him!! I’m grateful that I have such nice hobbies as quilting and blogging. They both give me inspiration in life, and good friends. Thanks for this giveaway. I’d really like to have this magazine. I am so grateful for a healthy and happy (most of the time) family. I don’t know what I’d do without them! I am thankful that my family is healthy and happy. I have a big family, but we are spread out from one coast to the other! Having my ‘little’ family together is always a special time! I am grateful for my family. Wonderful hubby and three great daughters. Great post! I’m grateful all the wonderful people in my life! I’m really grateful for a great circle of friends. A fun giveaway and blog hop! I am thankful that I earn a living doing what I love. I am grateful that in early 2014 a new drug that cures Hep C in 98% of the people is being released and that my doctor already has an appointment set for me to start taking it. Also grateful that my niece is driving up from Texas this Thanksgiving to surprise her mom. She will get here before her mom, hide her car and the entire family will all be together again. Love your creations. The hexie pillow is my favorite. I’m grateful for all things! That I can get up everyday, hear from my family and friends, the weather (no matter what it is), all God’s creations. Just everyday is a new blessing! i’m always grateful for my family and this year my mom has been very sick with cancer so i am super grateful that she is still with us. I am so thankful for my family’s health. Thanks for the giveaway! Can’t wait to see your Barcelona quilt!! Thankful for wonderful bloggers like you that keep me inspired (even if my productivity is dreadfully low). I’m grateful for my sweet hubby and the Lord that brought us together. Thanks! HELLO, so thankful that our family is happy and well! I am grateful for my recently expanded family . . . I now have two beautiful granddaughters! I am so thankful for two amazing children, my husband, and grandparents who love my children. I am grateful that I can walk again after my back surgery! I’m most grateful for the wonderful people in my life – my family, my friends, my children and my husband. I am most grateful getting my house mortgage paid off this year. Love all your projects and thanks for the giveaway. I am thankful for having Jesus in my life, for his protection of my family, and that I can fly to Texas to see my grandchildren. I’m thankful for my family and for a generally good life. And for being able to sew when I like. I’m grateful for so many things, but especially my family, and that I have a home and enough to eat and clothes to wear. I am just grateful that our whole family still gets together for the holidays, love it! Thanks for the giveaway. I am grateful that I have a job. Things may be changing at the beginning of 2014. I am thankful for my family and that they will all be here for thanksgiving. I am thankful for good health of myself and family. I’m very thankful my hubby has much improved health after going through severe anemia and two successful surgeries. He’s most importantly eating better foods (vegan plant-based) along with me. Cooking has also been a total delight to me this year! Good Food is the best medicine! oh my I have a lot to be grateful right now. One is my husband, he is so supportive of me, he is helpful in many ways, and continues to sweep me off my feet after 30 years. Fabulous projects.I am so thankful for my health and my dad is better.Thanks for the chance!! I am so thankful that I am one of God’s children. I’m thankful that I have so many wonderful friends and family members in my life! I am grateful for any energy I can have to spend time with my gandbabies.. and I am grateful Your hubby is home too because I remember last year for you.. bless you all and thank him for keeping my family safe ! Love those hexies on the gray background! Thanks for having a giveaway! Four of our six children live within 10 minutes of us. It has been a wonderful 5 months with all the grandchildren playing and the grownups visiting together. A wonderful, joyous time. Thanks. it looks like all 5 of our children will be home for Christmas! it’s been several years. yahoooo!!! that means our home will be full of grands, loud voices and lots of food. I am so grateful for each and everyone of my family. that’s what it is all about…..
I’m grateful my husband and I get to spend Christmas together this year, and I get the bonus of seeing my parents and my brother! I’m grateful for my son David. If we need help with something, he will come right away and help us. I’m thankful for my family and friend, and our good health. I’m grateful for friends and family and for wonderful quilters who share their beautiful work. Thanks for the inspiration! We bought a house this year. I am still SUPER grateful for it – we are so lucky to have snagged it. Family 🙂 And that I have a working sewing machine. I so grateful that my daughter has gone into a rehab for substance abuse. I understand it is a hard thing to do and I’m proud that she is giving it a try. Thanks for the giveaway. I’m so grateful for the many blessings God has bestowed on me and my family in the past year. Thanks for the giveaway! I am thankful that I have a job in this recession. And lots of quilty friends!! I am grateful for our new retirement home and our new life in a new town. Grateful that my friend’s cancer was discovered and that she is getting excellent treatment. Happy Thanksgiving! So happy that your husband is home! I am grateful my husband is retired after 20 in the Navy to have him home each holiday but it was worth it. We have a better life for the time he spent working on the ships serving our country! I am glad your husband is home this holiday! Know that as a Military spouse you may feel alone when he is gone you have another that lived that life too! Lots of us just knock if you need to talk always home for a sister in arms! I am loved by the King! I’m grateful for my health and my family. I am grateful for living so close to my wonderful family and friends. Glad for a warm coat in cold weather. how to write, (sew/quilt) and walk again. I am thankful for every little thing in my life. Thanks for hosting the giveaway. I’ve added it to my weekly link up. I am thankful for my family! This year they are far away but at least we have Facetime to get together! Thankful to find all these fun blogs to wander thru. I am very grateful that I still have my father and that at 92 he is still able to go to work every day and that this past spring he was able to go snorkeling with us on our cruise! Estoy agradecida a mi padre , no esta conmigo pero me ayuda ,desde donde esta. maravilloso regalo .Gracias a los dos. I am very grateful for my husband’s recovery and our wonderful family and friends!! I am so happy to have been able to move back to where I was raised. We bought a wonderful farm and built a house, and live closer to my parents and sibling than I ever have. My child goes to the same school I went to. It is nice to be back! I’m glad everyone is in good health this year! So glad to find your blog on this Thanksgiving Blog Hop. Thanks for the opportunity to win a great magazine and a gorgeous charm pack. I am thankful for my husband, and that we can spend the holidays together. I’m grateful that when I have problems with somebody I love, there are other people there to give me support, and all the people who I care about have had to be there to support me at some point this year, and I’m so glad I have them! I am grateful for my husband of 33 years who supports me in everything I do, and sometimes cleans the house for me! I’m grateful for good friends. They keep me going when it’s hard to get there on my own. Thanks for the giveaway. That looks like a terrific line of fabric. Both my dad and father-in-law turned 80 this year. I’m grateful that they are both healthy. I’m grateful that all my 4 childrens have a job. Am most grateful for my husband who was right there with me for all appointments and treatments during my recent illnesses. I too am greatful to spend time with my children, husband and my brother’s gang this Thanksgiving. I am thankful for retirement which equals time to enjoy my lifelong love of sewing, crafts, and learning to quilt! This year I am grateful for the birth of a new granddaughter and for her birth parents bravery in giving her to my son and his wife. I am grateful for my Mum who has been my carer for 10 years. I’m grateful for my wonderful family and a very special neighbor who cheerfully looks after me! I”m so thankful for my family. I, too, am grateful to my husband and my kids – they sustain and support me in so many ways – love them megagigantically!! I am grateful for being able to have one more baby in our family. Grateful my other two children are very excited for this baby and my hubby is being great! I’m grateful for my family and that my husband has a job! grateful to have the time and space to continue my love of quilting! I am grateful for my kids and my super supportive husband. Thanks! I am thankful for my husband and two kiddos. They are my world. I am a better person because of them. Thank you for the chance to win. That fabric looks really fun. I am grateful that John’s paralysis resolved. When I see him do something simple like eating with a fork or opening a door, I’m sometimes moved to tears, remembering those months of uncertainty. I’m grateful for having a pretty awesome family. Don’t know what I’d do without them. I’m oh so grateful for my healthy happy children. I’m also grateful for a chance to win a nice giveaway. Thanks for the chance. Love your blog. wonderful giveaway….thank you…..I am thankful for my family and my blogging friends today. Thanks for a great giveaway. I am grateful that my oldest teenage daughter is becoming more human again! Last year my grandma kept falling and ended up breaking some ribs and her hip bone. She was having mini strokes and had given up on life, refusing to eat. We were afraid we would lose her. I made the trip down to CA to see. This year I am thankful that I was able to make a second trip to see her and she is still with us. She hasn’t given up completely yet. I’m thankful for every day I have ever spent with her, even the difficult ones. Wonderful giveaway. Thank you so much. I am grateful that I can get up each day and do the things I love to do. Great giveaway. I am thankful that my husband has found guidance in treating his complex health issues. I am also grateful that both of my grown children will be home for Thanksgiving. Thank you for giving me the chance to win. Hi Melissa: I’m just east of the mountains from you! I’m following you on several venues – twitter, bloglovin, pinterest, facebook. It’s the season to be thankful but I’m thankful every day for family, friends, health, art in all it’s many facets, including quilting. Come by and visit for a minute when you have time at Prairie Cottage Corner. And, Melissa, thank your husband for his service to this great nation; and thank you and your family, as I know you serve also. They also serve who only stand and wait. Thank you. I am grateful that my mother-in-law finally has a placement in a nursing home, after waiting in hospital for more than 3 months. I am thankful for my wonderful hubby or 30 years, my family, church, and all God’s blessings. Great giveaway. Thanks for a chance to win. Nice to meet you. I am very thankful for my family and my health. thanks for the chance to win! I am grateful that my family can all be together for the holiday! Thank you for the lovely giveaway! Grateful for health and new and old friends, for the rainbow I saw today, and the whole Christmas thing… for a new job…. for quilting on-line links…. I am grateful that my husband is recovering well after a recent fall. Thank you for the nice give away. I am so grateful for my faith. I keeps everything in perspective. I’m grateful for all the good friends I’ve made through quilting. They mean a lot to me. I am thankful for family and friends and virtual friends, too! Thank you for your giveaway participation! I’m grateful that I’m living close to friends and family this year. Thanks for the chance to win such a great giveaway. I too am most thankful for the time that I’ll get to spend with my family this year. I am grateful for my husband. He is the best! I’m grateful for good health and a great husband. I am thankful for my family who not only make my life complete but very interesting!!! I’m thankful that everyone in my family is healthy and happy. I’m praying for the job market to turn around for my children’s sake, but most of all I am grateful that my daughter will be home from school for Thanksgiving. When she was away at college, we saw her about every three or 4 weeks. She is so busy at graduate school that we now see her about every 7 weeks. I miss her terribly. I am grateful that my son who lives on the opposite coast from us is able to spend Thanksgiving with us this year. I love the Barcelona fabrics!! Would love to win, thanks! I am thankful for my husband and family… they make every day special. My closest friend was diagnosed with uterine cancer, and then while tests were being done, the doctor discovered that she also had a large malignant tumor on one kidney. Three months later, she has had successful surgery, and has completed treatment with full recovery. We all feel blessed! I’m grateful that all of my children and grandchildren will be here for Thanksgiving this year. Thanks for the great giveaway. I am grateful that I had an opportunity to talk with my best childhood friend before God called for her. I am thankful that I willbe able to visit with our family this year. I’m grateful that my son in law is not deployed right now and can spend Thanksgiving and Christmas with his new daughter. I’m grateful for her too. Thanks for participating in the blog hop. Hi Melissa.. I’m giving thanks that my son will be with us this year at Thanksgiving since last gear he was deployed in Afghanistan with the USMC. I’m so happy that your husband will be home as well. I so enjoy all the times that we can all be together. Hope you and your family have a Happy Thanksgiving! I am thankful to be gainfully employed! I am very thankful for my wonderful husband and two amazing grown boys. I am also grateful for blogs…as a new quilter I would be lost without the inspiration. Thank you for sharing! Love that purple quilt. Thanks. I’m thankful for my son’s health. He’s had developmental challenges since birth and we’re finally figuring out what the issues are. It’s nothing life-threatening and something we can learn to overcome. So thankful for that! Great giveaway and I am grateful for my good health this year! I am thankful for my time with my family. love being with them. I’m thankful for people who see my daughter for who she is, not just as a child with Autism. I am so thankful for my family – especially my husband. I am thankful for my family. Thanks for the chance! The older I get the more thankful I am for my family and their good health. Thanks for a wonderful giveaway! I am grateful to my parents who have helped me so much this last year. I am thankful for a warm home! Thanks for the chance! I’m thankful for a caring and loving husband. I’m thankful for the 2 best kids ever! I’m grateful for my family and our health. I am grateful that all three of my girls are happy, healthy and gainfully employed. I am grateful I got a job that I love even though it cuts into my sewing time. I am grateful for my husband of 27 years! He is the best and has a heart of gold! I’m grateful for my mom’s better health. At 85 she’s doing well after breaking her back earlier this year. I’m thankful for my family and my home, too! Thankful for God and family. I am grateful for my family and my health. Thanks for the giveaway. I am thankful that my husband of 49 years is still alive after a diagnosis of stage 4 cancer 2 1/2 years ago. God is so good! I’m grateful for the sun shining on my solar panels. I ‘m most grateful for my great grand kids! I am thankful for my mother-in-law. She is the person who introduced me to quilting & made my very first quilt. Thanks for the chance to win!